I would like to express my grief and bring to light what is going on in the councils which are under ministry of local government. 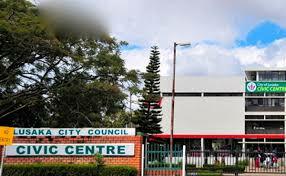 I work in one of the 109 councils in Zambia. Today is the 15th of December and most if not all councils are waiting on the October grant (October salaries). Life is getting hard and surviving is becoming difficult. Councils depend on a government grant to pay workers as most councils are unable to pay workers from locally generated revenue. But we are expected to work tirelessly when it comes to providing services to the general public such as garbage collection, mending potholes, resolving land disputes, maintain public facilities just to mention a few. When we turn to our union to speak on our behalf the are given brown envelopes to keep thier mouths shut and give statements saying salaries have been released and will reach us soon but to no avail (useless old men), our principal officers don’t care about what others are going through because they use the little money councils make to pay their allowances. This is the reason councils will not have trained professionals who can drive this country forward. as we know councils govern our country at are grass roots level. I urge our government to find a lasting solution to this problem or else council works will start accepting brides, stealing money and selling plots and pocketing the money. We have greedy leaders in this nation this needs to change. Is the kind of government we have one that doesn’t even care about its own. Where are we going as a nation?